Majestic and elegant, this splendid newly-built villa was designed and built to provide the ultimate comfort. The large, cosy interiors of the villa, on four floors with a surface area of 600 square metres, feature several convivial spaces, furnished in refined, classic style. On the entry level there are a spacious living area, consisting of lounge and living/dining room with fireplace, a fully equipped kitchen, a laundry room and a toilet. The two upper floors house three luxurious bedrooms with en-suite bathroom, including a master bedroom with walk-in closet and en-suite shower and whirlpool tub. On the lower floor are a second living area with lounge, kitchen and sitting room with fireplace, two further bedrooms and two bathrooms. Outside the villa is surrounded by large terraces, by a portico with outdoor kitchen and dining area, and a well tended garden with lawn, embracing the lovely private pool. The property comes also with computer workstation with internet Wi-Fi, satellite TV, air conditioning, washing machine, dishwasher, safe and heating. Interior: First Floor: entrance, lounge, living/dining room with fireplace, 1 bathroom, large kitchen, laundry room, terrace. Second Floor: 1 double bedroom with walk-in closet and en-suite shower and whirlpool tub, 1 twin bedroom with en-suite shower, terrace. Third Floor: 1 double bedroom with en-suite shower and whirlpool tub. Ground Floor (accessed from outside): living/dining room, sitting room with fireplace and sofa bed, kitchen, 1 double bedroom with en-suite tub, 1 twin bedroom, 1 bathroom with shower, laundry room, terrace. FACILITES:Washing machine, Dishwasher, Iron, Hairdryer, Fridges: 3 Freezer Toaster Television: 3 Satellite receiver Hob: 15 gas burners electric oven: 2 Microwave Fireplaces: 2 Stereo system Cd player Dvd player Safe Highchair Computer Espresso Coffee Machine. EXTERIOR: Portico with dining area, outdoor kitchen and barbecue, terraces 300 m², garden 4000 m², swimming pool, sun terrace, 1 bathroom with shower. Private pool. Bruk av strøm og AC Inkludert i leieprisen er bruk av kw 400 per uke, brukes mer betales €0.40 per kw time ekstra. 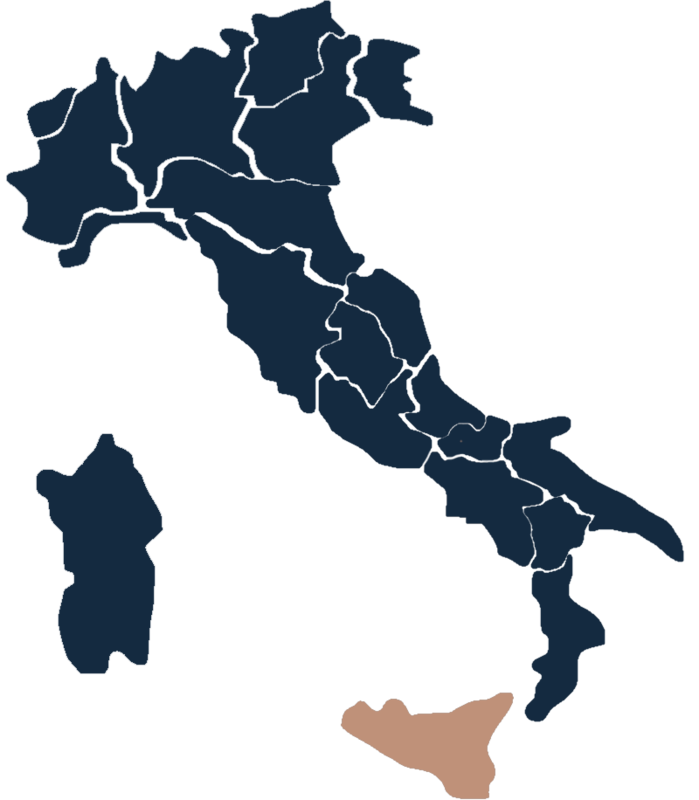 Airports Comiso 45km, Palermo 350km, Trapani 430km, Catania 120km.